Uncover more of the web with metasearch! Mamma.com collects only the top results from the best search engines on the Internet. 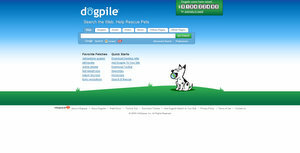 Dogpile puts the power of all the leading search engines – Google, Yahoo!, Live Search, and Ask – together in one search box to deliver the best combined results. The process is more efficient and yields more relevant results.